So, you’ve just landed at OR Tambo Airport International with your family and one of the many reliable shuttle services from OR Tambo Airport has you happily on your way to your self-catering accommodation. You’re tired but know that if you don’t sit the family down for an affordable meal quickly, you’ll have to face something even worse: what’s-for-supper tantrums. Luckily, South Africa has its fair share of family-style diners that offer reasonably priced meals and cater to a large variety of tastes, separate kids’ menus plus, mercifully, kids’ play areas. Let’s face it, the last thing kids want to do after a flight is snuggle up with you in front of the TV. We’ve rounded up the best ones for you and so you can divert your OR Tambo taxi shuttle on the way to your residence, or ask your OR Tambo shuttle service to wait while you offload your bags, and drive you to destination Tuck-In. Panarottis features a play area which is perfect for little ones who need to burn off excess energy and irritability after sitting down in the confines of a plane. Let them climb the jungle gym or partake in any one of the activities, including colouring and drawing. Since it is a family diner, they’re free to bring their colouring sheet to the table as well. The kids’ menu features kids’ pizza favourites for young tastebuds, spaghetti bolognaise, chicken and chips and a host of typical kids’ favourites. Of these, the dough-it-yourself is a great way to engage picky young palates. The kids’ pizza tray has been designed to come with a host of toppings so those little hands can be put to good use creating personalised pizzas. Healthier, but equally delectable meal options such as gluten-free bases and corn with chicken strips are also available. The adult offerings are great, too. This is not the place to come for that authentic Italian thin-base, charcoal-fired taste – although you will find almost every pizzeria will claim to be authentic. What you should expect, instead, is a uniquely South African and wonderfully comforting take on this Italian mainstay culinary masterpiece. The Sriracha options are great if you’re looking for something seriously fiery, and try the Fettuccini Alfredo for a surprisingly indulgent and tummy pleasing pasta. Take away their monster-sized pizza, the Monsterito, for the next day, and you’ll have no need to cook then either! Panarottis is a popular fast casual dining Italian eatery that’s in just about every mall, and certainly in every suburb. Ask your OR Tambo taxi shuttle to get you to the Zone Mall on the R24. It should take your OR Tambo taxi shuttle about 30 minutes to reach your destination. The Zone is close to Sandton as well as other major surrounding suburbs such as Fourways, Greenside, Woodmead, Midrand and Bryanston. If you’re staying in Joburg, the chances are high that your self-catering accommodation would be in one of these suburbs or surrounds. You could also ask your OR Tambo taxi shuttle to negotiate Cresta Mall via or after your drop-off. This is near to Sandton, Rosebank, Northgate and especially Randburg. From OR Tambo, you should be there in about 39 minutes. 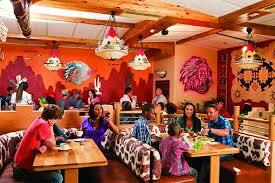 Spur isn’t proudly branded as the diner for ‘people with a taste for life’ for no reason. Their chargrilled method of grill preparation means you and the kids will tuck into some of the best tasting ribs, burgers, steaks and other legendary offerings. The nachos in particular are not to be missed. The seafood limited seafood offerings – hake and calamari – are exceptionally tender too. 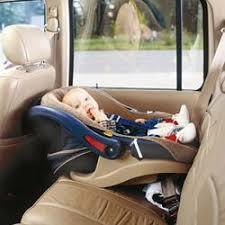 The playpen for the kids is fun, safe and well managed. Most children can’t wait to bounce into the kids’ play area and you won’t see much of them at the table. When they do sit down, they’ll usually be presented with a colouring-in sheet, mask and crayons so the fun can commence immediately. The kid’s menu is one of the most extensive in the fast casual dining sector. Choose from grills, burgers, pizza and even fish fingers. Swap the fries for a healthier side such as delectable cream spinach and butternut, corn, salad or a baked potato, and keep drinks low calorie by choosing the milk or water options for the kids instead. Most Spur Restaurants have a separate smoking section, in-house combo meals, good ventilation and adequate, comfy diner-style seating. As your OR Tambo shuttle service to head for the N3 eastern bypass. You’ll find one of your nearest Spur Restaurants in Morning Glen Shopping Centre in Sandton, and it will take your OR Tambo shuttle service about 30 minutes to get there. This is perfect if you’re already on route to Woodmead, Sandton, Fourways or Midrand from the airport utilising your OR Tambo shuttle service. Another option is the River Hawk Spur in Bryanstan at Coachman’s Crossing. Any of the shuttle services from OR Tambo Airport would know how to negotiate Bryanston from the airport as it is a major suburban hub. It will take your OR Tambo shuttle service 30 minutes or 40 minutes depending on whether they’ll be using the eastern or western bypass. 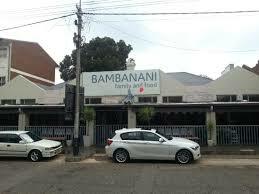 If you’re in the mood for something slightly more high-end and that’s for a more sophisticated palate, kid-friendly Bambanani with its Asian-style fusion food achieves an excellent scorecard. Childminders are on hand at the play area all day, a great bonus as most high-end restaurants do not have separate child-specific spaces. The restaurant was designed to be aesthetically inviting with an array of alluring dishes for adults, without sacrificing any appeal for the little bambinos. There’s WiFi on the house so if the kids do want to sit at the table all the time, they can always play games on a tablet to keep any boredom at bay. Expect all the kids’ favourites on the menu including hot dogs and chips, hake and chips, burgers and much more. Refreshingly, the kids’ menu has been designed with nutrition in mind, so most children’s dishes are accompanied with carrots, cucumbers and tomatoes. 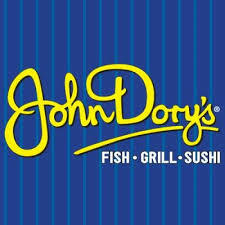 John Dory’s is another family favourite, with the focus being fresh fish, prepared with a Mozambiquan Portuguese bias. The sushi and grills come highly recommended too. The separate kids menu is not all about fish only, a good thing as this is usually not a first option for kids. You’ll find perennial favourites on the menu for children and, conveniently, they’ll have their own ship, ocean and pirate-themed play area. Shuttle services from OR Tambo Airport can have you here in 50 minutes. Great if you intend to go en route to the Cradle of Humankind and surrounds. This one’s great if you’re super hungry as shuttle services from OR Tambo Airport can have you there in 20 minutes in normal traffic. Ask one of the shuttle services from OR Tambo Airport to stop here along the way if you need to head to Pretoria. 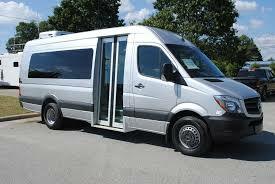 You’ll reach it in between 35 and 45 minutes, depending on the route the shuttle service chooses to take.